Qualified Ayurvedic vaidyas and therapists administer treatments ranging from therapeutic massages to more rigorous modes of elimination therapies. 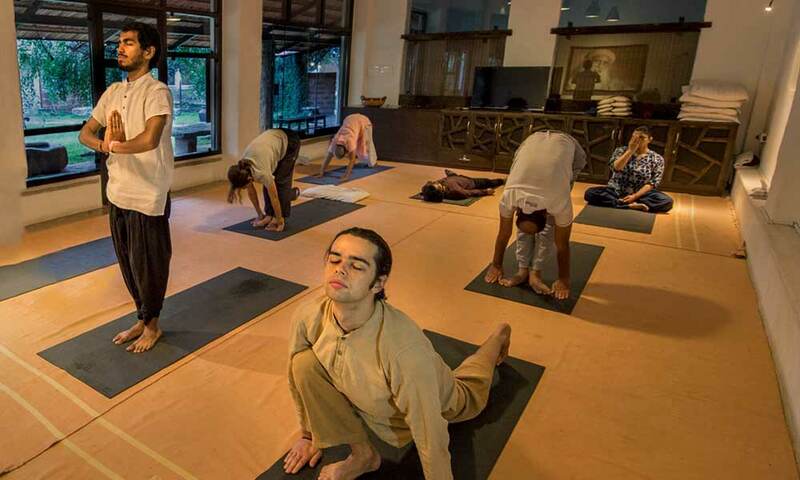 Taking place under the guidance of Sadhguru, Pancha Karma at Isha is strongly rooted in ancient traditions and classical methods, while keeping in mind contemporary preferences and comforts. Our authenticity and commitment to this ancient life system is evident in the use of traditional oils, vessels, and wooden treatment tables. Be it a carefully monitored Ayurvedic meal or a traditional massage, your body and mind undergo a holistic metamorphosis, in the most pristine backdrop of the Isha Yoga Center. The Yoga Center is a consecrated space that is soaked in the powerful energies of the Dhyanalinga and Linga Bhairavi. This creates a highly conducive atmosphere for the body to naturally come to a state of ease. This helps unlock one's potential and awakens a new sense of purpose, contributing to a sense of wellbeing at a much deeper level. To ensure that the space is imbibed at the deepest level, the Rejuvenation Center has been carefully tailored to ensure that the focal point is the ultimate wellbeing of the individual. The day begins with basic rejuvenating practices and individuals are encouraged to follow the practices in the evenings too. There is a certain blossoming that happens as you connect with the daily sounds of nature, chanting and meditations. What can you expect during the course of your treatment? Your Pancha Karma treatment begins with an initial in-depth consultation with a qualified Ayurvedic vaidya, who explores your physical, mental and emotional health to identify your unique constitution (a combination of the three dynamic living forces), which determines your body type and your current imbalances. The vaidya then prepares a sequence of treatments and an individualized program of daily routines, diet, rejuvenating practices and a wellness regimen. This will help bring more balance, stability and energy to your entire system. This process is supported by a comprehensive range of authentic Ayurvedic treatments, each addressing a specific aspect of physical, mental and emotional wellbeing. 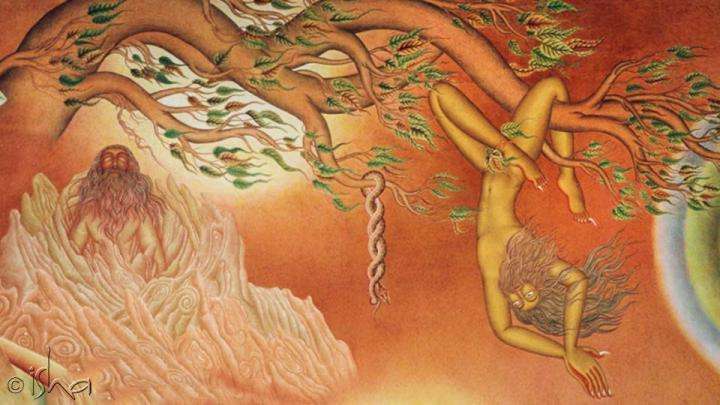 Pancha Karma is an intense process and there can be periods of discomfort associated with the release of toxins, which may induce changes on the physical, mental and emotional level. Sorry, we don't have upcoming programs or events in Seattle. You can search for any city in the above search field or try again later. How do I register for an Isha Rejuvenation program? To register you can send an e-mail to isharejuvenation@ishafoundation.org, specifying which program you are interested in. If you are not able to choose by yourself, you can let us know what you are looking for and we will do our best to guide you. Once you decide on a program, we will send you a detailed health assessment form, which you need to fill in and e-mail back to us along with your medical reports, for review by our medical team. Once your form is approved by our medical team, we will send you an online payment link. After the payment is made, you will receive an auto e-receipt which you can e-mail to isharejuvenation@ishafoundation.org. We will then send you an e-mail confirming your registration for the program, along with a list of things to bring with you, travel and arrival information and other guidelines. What is the minimum age to participate in a program? You should be at least eighteen years of age to participate in a program. Is it mandatory to attend Isha Yoga or Inner Engineering before enroling for an Isha Rejuvenation program? Except for Yoga Marga, Yogic Hospital & Pancha Karma, you can enrol for any other Isha Rejuvenation program without having attended an Isha Yoga program. Only for Yoga Marga, Yogic Hospital & Pancha Karma, it is mandatory to have been initiated into the Shambhavi Mahamudra Kriya, which is currently offered as part of the Isha Yoga or Inner Engineering program. It is required that you practive Shambhavi Mahamudra for at least two months before applying to these programs. If you have been initiated into Shambhavi Mahamudra but have not been practicing, please write to isharejuvenation@ishafoundation.org for guidance. Please note that in case you have done Inner Engineering Online, you still need to be initiated into Shambhavi Mahamudra separately. Can I work and communicate with my family during the program? You are encouraged to keep outside communication, both work and personal, to a minimum to participate fully in the program and reap the maximum benefits. Given the nature of the schedule, you are encouraged not to involve yourself in any work-related activities. During the program it is advisable to spend more time in the unique meditative spaces of the Isha Yoga Center. These spaces create an atmosphere that supports and catalyzes the rejuvenation process in the system. You will find that by being here, you can experience profound transformative effects. Can my family/friends accompany me during the program? Yes. However, note that the program schedules are quite intense and will not leave you much time to spend with your family. If you have small children accompanying you, please ensure that there is an attendant to take care of them. Your family or caretaker can stay with you if you have opted for a single room and are not sharing accommodation with another program participant. Please note that you may not always get a room and that dining for all visitors will be in Biksha Hall at Isha Yoga Center. Can I come late on the first day of the program, or leave early on the last day? Can I leave during the program and come back? It is mandatory for you to stay for the entire duration of the program, so that you receive the full benefit. In case of emergencies, you can write to isharejuvenation@ishafoundation.org to see what options are possible, including registering for other programs or cancelling your registration for the current program. How are Isha Yoga programs different from Isha Rejuvenation programs? Isha Yoga is a comprehensive system derived from the ancient science of yoga to establish a deep and lasting personal transformation. It is a method of aligning your body, mind, emotions and energies to function at their peak and in complete harmony. It does not require any physical fitness or previous knowledge of yoga and is easy to integrate into any lifestyle. At Isha, yoga is taught in its full depth and dimension and communicated on an experiential level. The program includes Shambhavi Mahamudra Kriya – a powerful 21-minute inner energy process that incorporates the breath. If practiced daily, it will deepen your experience of life, enabling you to explore your own self and the world with heightened perception. 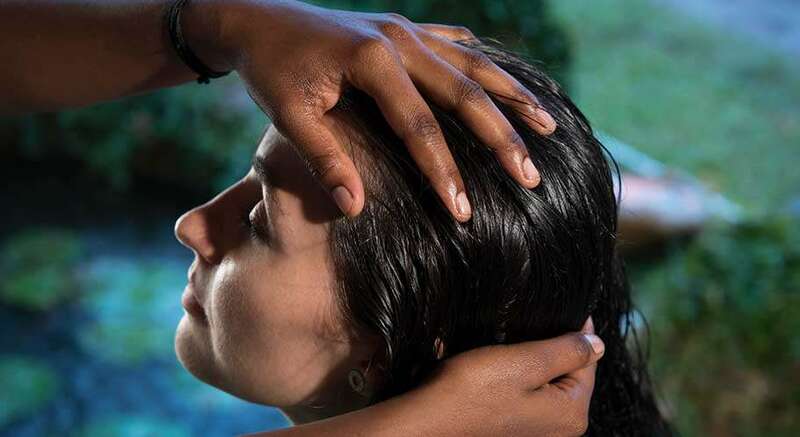 Isha Rejuvenation programs are a doorway to holistic living that take you beyond the conventional spa experience. They are scientifically structured and combine traditional systems of medicine, potent therapies and the sublime wisdom of ancient Indian practices. The disease-specific programs are rigorous, intense and focused, where interventions are geared towards people who have chronic health conditions. The Ayur programs are a refreshing break to those accustomed to hectic urban lifestyles and are therapeutic for day-to-day stresses. What kind of infrastructure is available at Isha Rejuvenation in case of medical emergencies? The nearest hospital is in Coimbatore city, about one-and-a-half hours away by road. There is a small clinic on site at the Isha Yoga Center for basic medical needs and it is also equipped with an ambulance facility. I have many food allergies. Can I still participate in an Isha Rejuvenation program? We would be happy for you to participate – however, you might face some dietary issues if you are allergic to many food substances. We will be unable to offer an individualized diet, as food in the Center is prepared in a centralized kitchen. The program diet consists of wholesome vegetarian food based on Indian cuisine, with an accent on seasonal local fruits and vegetables, nutritious whole grains, subtle spices, salads, herbal teas and tonics, fresh juices and Indian snacks and savories. Items like milk, sugar, nuts, wheat, etc. may be ingredients in side dishes. If you are okay with the above program diet, you can confidently go ahead with the registration process. I am not very mobile and cannot walk long distances. Will this hamper me during the program? During the course of the program, you will be expected to do a reasonable amount of walking, so you should be comfortably mobile to get the best out of the program. At the moment, we regret that we are unable to make arrangements for those who are confined to a wheelchair or are unable to walk even short distances. Should I bring my regular medication along with me? Yes, please bring all your regular medication with you. It is important that you continue to take it during the program, unless you have been advised otherwise following a consultation with our medical team. What kind of accommodation is available at Isha Yoga Center? There are two kinds of accommodation available – Nadi Cottages and Nalanda. The nature and intensity of the program schedule demands that you stay on the Isha Yoga Center premises, so it is not possible for you to book accommodation outside the Center and travel back and forth for the program. Even if you own accommodation on the Center premises, it is mandatory that you stay in program accommodation during the course. What kind of clothing is appropriate while attending the program? There are specific mandatory dress codes to be followed by program participants and visitors to the Isha Yoga Center. These codes have been formulated out of respect for the local culture and the monastic traditions at the Center. This will also help you experience the Center and the program in the best possible way, in terms of sitting comfortably on the floor, enhancing your receptivity to the space and dealing with the weather conditions. During practice sessions, you can wear long t-shirts and track pants, or salwars and kurtas. Your clothing during these sessions needs to be loose-fitting, comfortable and made of cotton. Do not wear sarees, skirts or dhotis to the practice sessions. During the day it is ideal to wear Indian formal clothes (gents – kurta, pyjama, pants, shirt; ladies – salwar, kurta, saris). If it is difficult for you to procure Indian clothes, you can wear loose-fitting tops that come up to mid-thighs and cover the upper arms, and loose-fitting ankle length cotton pants. You can also buy suitable clothes at the Isha Shoppe once you reach the center. Once your registration is confirmed, we will send you a welcome letter with a detailed list of things to bring with you for the program, including more specific guidelines on clothing. 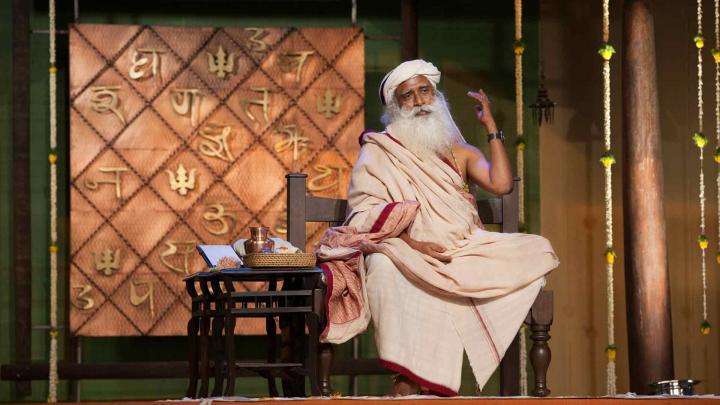 Will I be able to attend other events and programs in the Isha Yoga Center? Will I be able to volunteer? It will not be possible to volunteer or attend other programs except for Pancha Bhuta Aradhana or Pournami Pooja, which are included in the schedule of the program. The program schedules are quite intense and will not leave room for other events and activities. In order to get the best out of the program, it is advisable to focus your time and energies on the program itself. You can set aside some time before or after the program to engage in volunteering or other Isha Yoga Center events and activities. "The program was intense but I feel much more healthier and confident that I have established a foundation to my health. The individualized medicine and therapy regimen was a big support during this treatment process. Even though I underwent the treatment by myself, I was fully supported by the team. I intend to take this forward and live my life in a healthier way." "After the Pancha Karma program, I feel very light in the body. Now, I am comfortably able to manage Yoga. Even though the program is expensive, the benefits of the program make me feel, "Yes, it is worth it!". I see a significant improvement in the ailment I came with. I even look and feel healthier. It was an intense program, but the effort and time was well worth it."